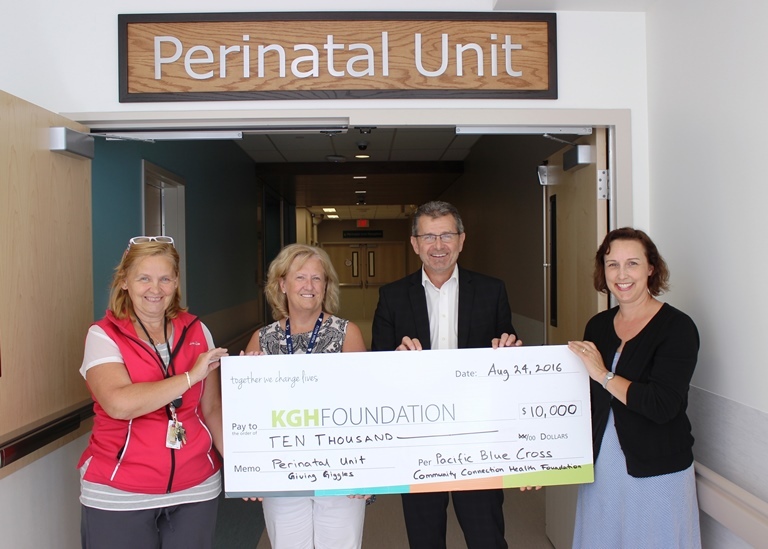 Pacific Blue Cross presented a cheque for $10,000 to the Kelowna General Hospital Foundation recently to support the purchase of a very special piece of equipment, one that will help keep babies safer and allow medical staff and loved ones to breathe a little easier. The donation, presented by Pacific Blue Cross Health Foundation board member Christine Johnson, represents the organization’s commitment to supporting the health care needs of British Columbians across the province. The funds will be directed towards the purchase of a new digital imaging plate for Kelowna General Hospital’s Neo-Natal Intensive Care Unit (NICU). This state-of-the-art piece of equipment fits in an incubator and allows the medical care team to instantly view a baby’s lung development, a critical indicator of a premature infant’s vitality. Without this plate, an x-ray can take up fifteen minutes to process, a long wait for a fragile newborn facing respiratory distress. For many babies and their families, the Neo-Natal Intensive Care Unit (NICU) becomes a home-away-from-home as premature newborns stabilize and become strong enough to be discharged. 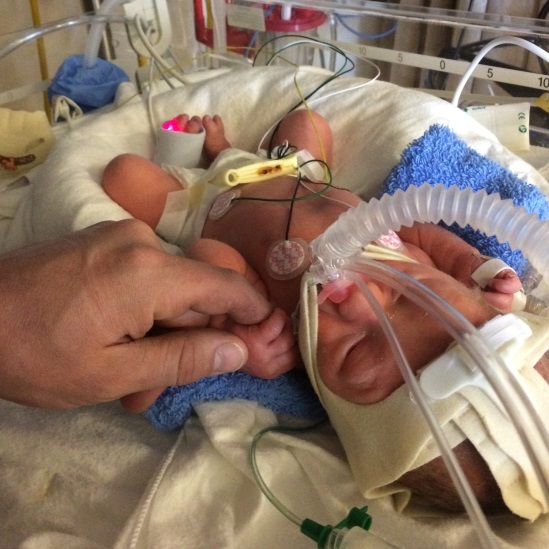 The NICU at Kelowna General Hospital provides care for acutely ill and premature infants born as young as 30 weeks. This could mean ten or more weeks surrounded by medical staff and beeping machines. No matter how you look at it, it is a difficult time for these tiny babies and their families. The lungs are one of the last organs to develop in utero, so babies born early are at high risk of developing breathing problems. As a result, most x-rays in the unit are done for those babies in respiratory distress. The NICU at KGH is part of our newly expanded Perinatal unit, which opened March 6, 2016 on the 4th floor of the new Interior Heart and Surgical Centre. The NICU provides care for acutely ill and premature infants born as young as 30 weeks. Through the Giving Giggles campaign, the KGH Foundation continues our commitment to raise $3 million in funds to transform the unit into the most advanced in the region. Colin Mayor Colin Basran is a proud #KGHkid.